Established in 1891, Fenech & Fenech Advocates is one of the oldest law firms in Malta. 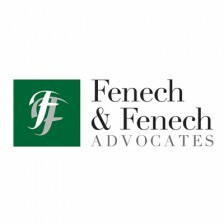 Fenech & Fenech is a widely multi-disciplinary law firm, which balances a forward-looking, dynamic task force based on tradition and excellence. Over the years, the firm has grown from strength to strength; from a traditional, family-run law firm to one of the largest and most diverse law firms in Malta. At Fenech & Fenech we offer precise, value driven legal solutions to all our clients, and pride ourselves with being the law firm that achieves results. Fenech & Fenech Advocates is Malta’s leading shipping law firm, with four separate and distinct departments dedicated to shipping – marine litigation, ship registration, ship finance, and yachting. In addition, Fenech & Fenech has an impressive International Practice dealing with all corporate and commercial issues, mergers and acquisitions, financial services, banking, trusts and foundations. Our tax department is one of the oldest and most experienced on the island. We have also successfully set up practices in aviation law, ICT, iGaming, and eCommerce, foundations, intellectual property law and art law.